This year our 11th graders toured two exciting sites on their annual Career Exploration Visit. Ms. Rosillo’s class visited Impress Communications, a high end printing and packaging firm in Chatsworth whose owner Paul Marino also hosted our students two years ago. His staff shared their special expertise in each department, from design to pre-press to bindery, and students learned about all the “hidden jobs” that are part of the printing field. Mrs. Mercer’s class visited the Marriott Hotel Warner Center where Human Resources Director Aleea LeBlanc spoke to the group about how a hotel operates. She covered the wide range of jobs, salary ranges, benefits, and employment requirements, and invited students to apply for part time work and internships while they are studying. 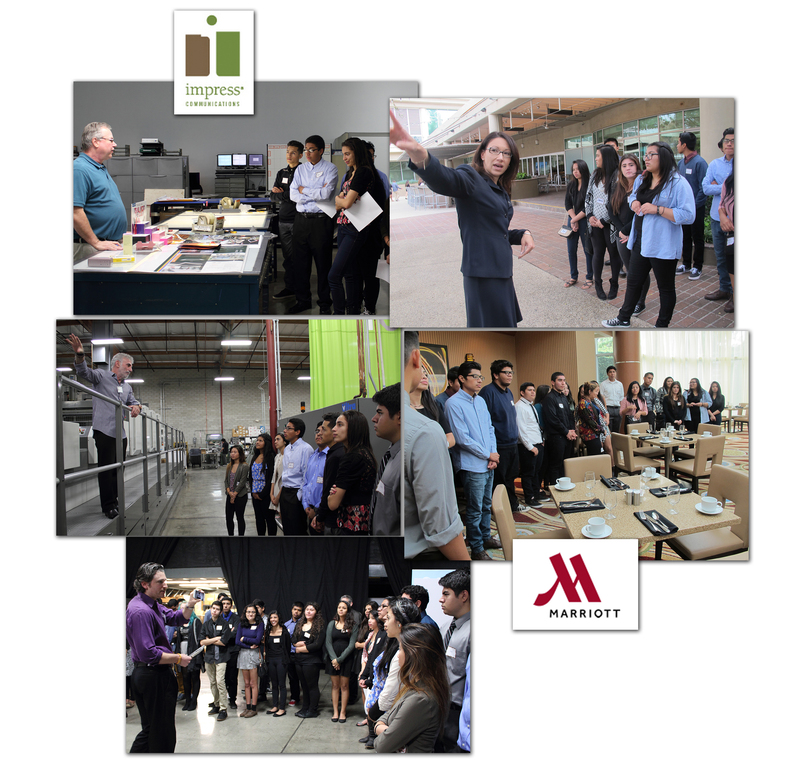 Students also toured “behind the scenes” for an insider glimpse at the restaurant kitchen, the sales offices, maintenance and engineering, as well as seeing the inside of a guest room and the penthouse hospitality suite. Many thanks to these two businesses and our gracious hosts for spending time with students and opening their eyes to the real world of work and the possibilities for many career directions.